Flexibility to mount in front or behind the tractor. Flexibility to mount in front or behind the tractor. 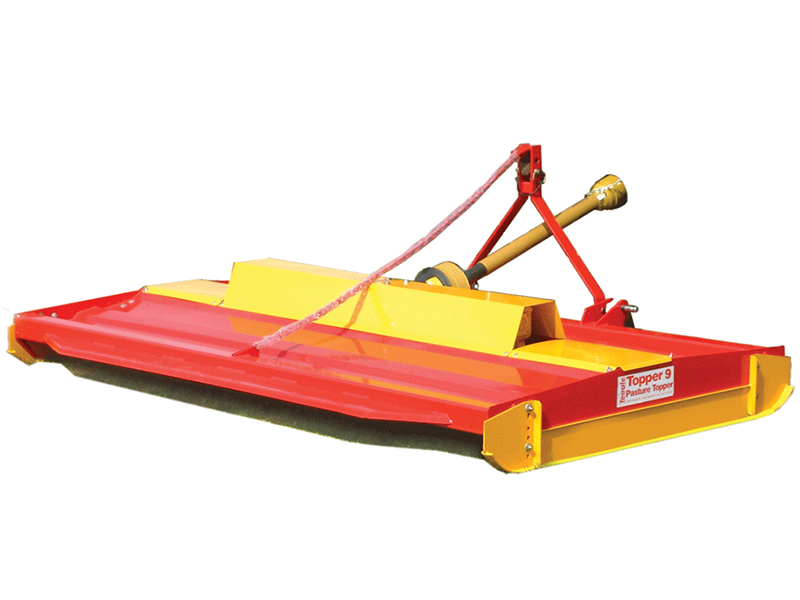 The Shaft Drive Topper 9 incorporates a range of features to provide outstanding performance with ease of operation and maintenance. Click here for more details. 1000RPM Gearbox available for front mounting. Bolt-on underhood deflectors will need to be repositioned. For additional protection from either unseen obstacles or protect driveline from excessive loading during harsh clutch engagement. Say goodbye to wheel marks. Suitable for agricultural pasture, playing fields, leisure areas and amenity applications.